Breeding to our Champion Herdsires - We offer Blue Ribbon and Color Champion herdsires to produce Huacaya alpacas with dense, fine fiber and handsome conformation. 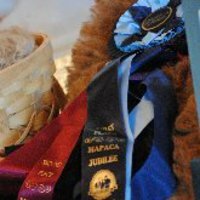 Mentoring for New Alpaca Farms - Guiding you in the basics of alpaca care, fleece characteristics, handling techniques, and show ring procedures are a few of the services you may find helpful. Advising the start-up farm on shelter construction, fencing options, and production of orchard grass hay that alpacas love to munch. Shearing services at our farm each spring. Join our crew or let us do the shearing for you! 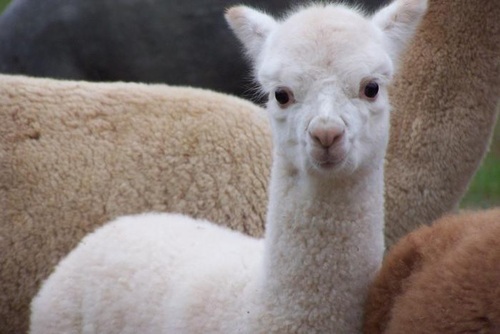 Boarding and Agistment Services - Take advantage of our barns, pastures, and experienced care to keep your alpacas nearby as you begin to build your own alpaca dream. Visit our Farm Store - We offer luxurious yarn spun from our alpacas and assorted alpaca products. Warm socks, gloves, hats and scarves in vibrant colors created by nature. Composted "Alpaca Magic" Garden Fertilizer - Complete with "Red Wiggler" worms.